Round 2 of the 2010 SCORE Desert Series will be held March 12.-14. in Mexico’s picturesque fishing village of San Felipe, located 120 miles south of the U.S. border on the East side of the Baja California peninsula along the azure waters of the tranquil Sea of Cortez. 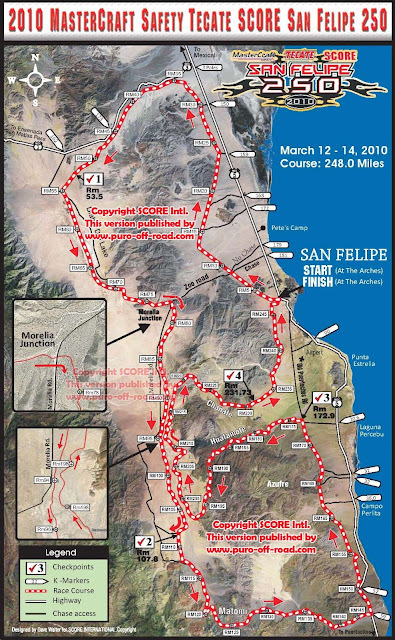 The map for this San Felipe 250 has been revised. Below you find the revised Baja 250 / MasterCraft Safety Tecate San Felipe 250 race course map. Additional you can find a Google Baja 2500 race course map created with the official SCORE Intl. GPS file at Puro Off-Road - Your #1 english language Baja Race eZine from Baja Cal;ifornia. Guranteed M. Overcast free!! 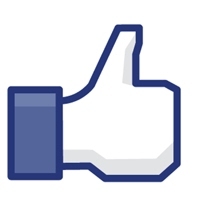 Find the Google MasterCraft Safety Tecate San Felipe 250 race couse map here @ p.o.r.